This is a very obvious path. 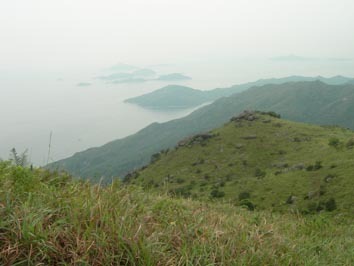 The first part is a session of Lantau Trail, and we walked up Sunset Peak on its way, and went back to Tung Chung with the Wong Lung Hang Country Trail. 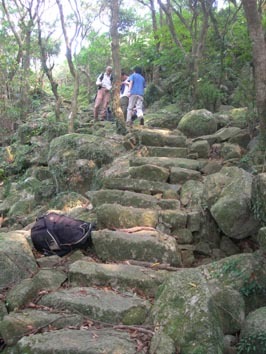 The most demanding part is the big-boulder steps in the latter part of the Country Trail. 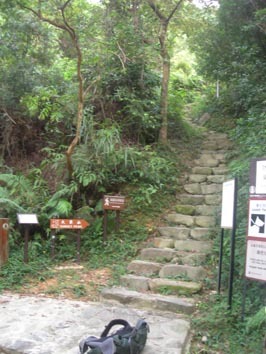 The steps go down from 480m to 160m. This can hurt your knees! 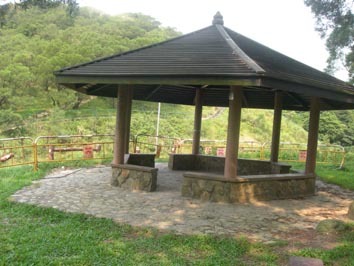 The starting point is Pak Kung Au where you can see a big shelter. 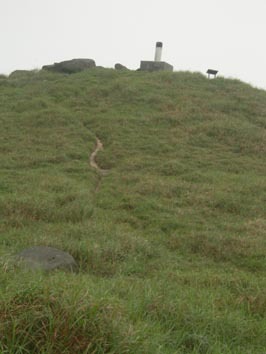 The up-hill path is in fact difficult. Going up for around 200m, you can start to see building scenery behind. 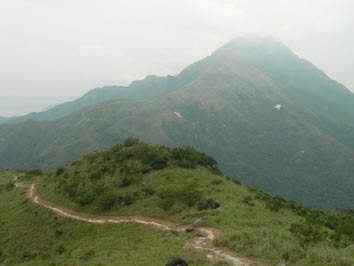 You can see Lantau Peak behind you. 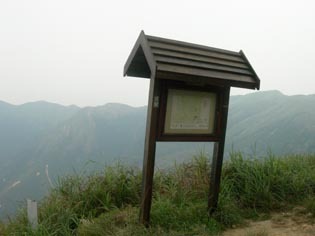 Walking downhill and joining the Lantau Trail again, you can see a a post stating the direction to Nam Shan. 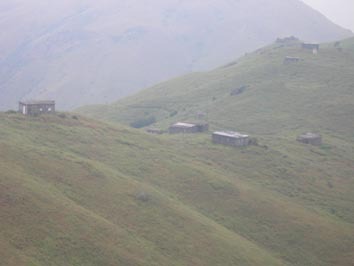 There are more than 10 small houses near that plateau. Each house is around 30 square meters. 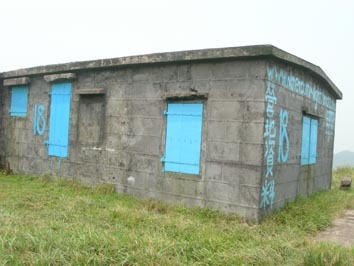 There is bedroom, dinning room, kitchen and toilet inside. There are pipelines providing water for living there. 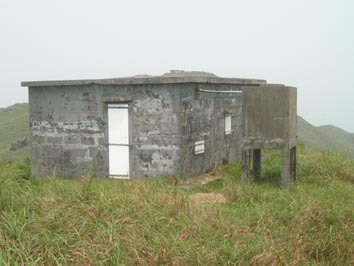 Old people called them Ghosthouse (鬼樓) or Lan Tau Ying (爛頭營). The most colorful House is No 18. 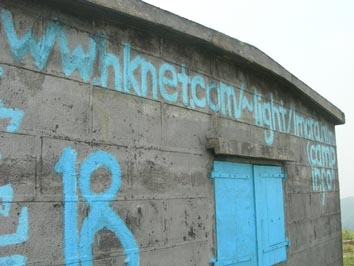 On its wall, you can find the booking information. 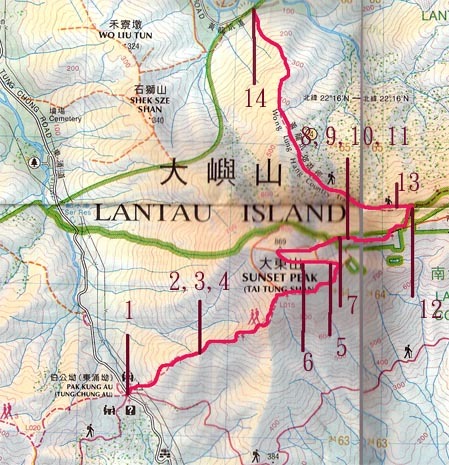 In the 50s, British workers overseas in a British company in Hong Kong had a feeling of nostalgia, so they applied for land from the Government to build their “bungalows” on Sunset Peak for holidays. 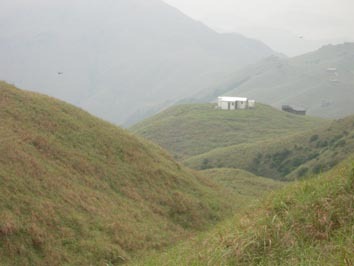 Hikers can also fill up their water bottles near 820m where you can find a large water storage tank. 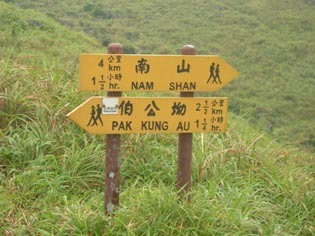 Turn left here to join the Wong Lung Hang Country Trail. There is a map. You go into one of the untouched forest of Hong Kong with tall trees on both sides. Along the trail, you can find big boulders going downhill. Along the Trail, you can see Yellow Dragon River. 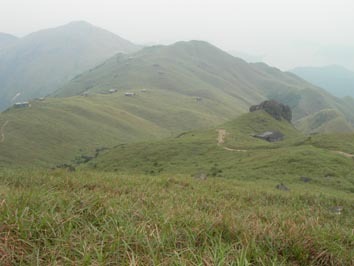 With the heavy rainfall in summer 2008, the entire path of Yellow Dragon has been widened and changed. When you look down from the Trail, you can see a big yellow strip (the Yellow Dragon River). This is the end of the journey. Walk along Wong Lung Hang Road to go to Tung Chung.